Dr Rita was the first clinician in Scotland to become the first and only certified controlled depth peel and 3 step peel in Scotland and gained in her ZO Skin Health diploma in 2016 at Dr Zein Obagi, Beverly Hills. 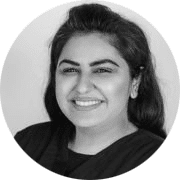 Dr Rita is the Clinical Director of The Peppermint Group and Peppermint Studios – 3 ( previously 5) Dental and Cosmetic Practices throughout Scotland, Glasgow. We are an award winning well established, renowned group of practices offering bespoke dental and cosmetic services. We employ a group of skilled dentists and doctors to provide you with all your NHS and private dental and cosmetic needs, including facial aesthetics and body aesthetics. Dr Rita has a special interest in anti – ageing skincare and especially the ZO Skin Health products and protocols which have been developed by Dr Zein Obagi. Dr Rita has a Bachelor BDS MJDF RCS (Eng) of dental surgery obtained from faculty of medicine Glasgow university. She is also a member of the joint dental faculties Royal College of Surgeons of London, England.